This article originally appeared on the Cheatham Chat. In order to answer this question, we conducted a 6-month double-blind (neither the researchers nor the participants knew to which powder group they belonged) clinical trial with 65- to 79-year-olds. We used freeze-dried blueberry powder supplied by the Wild Blueberry Association of North America and purchased a placebo developed by the Highbush Blueberry Council. Study groups included a reference group of with no cognitive decline, a group with mild cognitive decline who consumed 35 grams of blueberry powder a day (equivalent to two cups of blueberries) for 6 months, and a group with mild cognitive decline who consumed 35 grams of placebo powder a day for 6 months. In total, we screened 296 participants to arrive at the final sample of 71 in the intervention group and 45 in the reference group: a total of 113 participants in the BERRY Study. The last session was completed in May 2015. 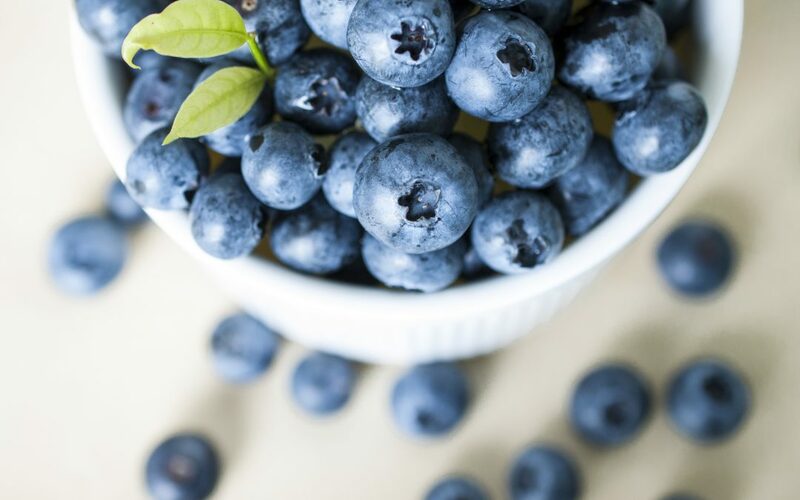 The preliminary reports suggest that the blueberry intervention was effective in improving cognitive scores on the Montreal Cognitive Assessment (MoCA), a paper-based test used to diagnose mild cognitive decline. 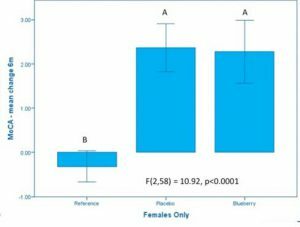 Interestingly, we saw no difference from MoCA scores between the blueberry and placebo group, until we separated the men’s scores from women’s scores (see Figures 1 & 2). 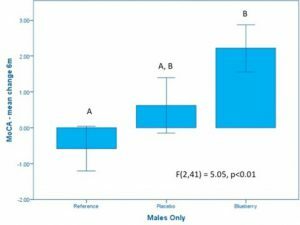 The blueberry intervention had a significant effect on the men in the study. We have discussed that this result may be due to the women in our study benefitting from the social interaction and support from attending the sessions more than the men did.